One of the finest years in WWE history came to a close on Wednesday night, as the final edition of NXT aired of 2017 and therefore ending programming for the year. It was only fitting that it was a great week of WWE television, then; from a mismatched pair winning the RAW Tag Team Championships on Monday to a terrific Fatal Four-Way match on Wednesday, there was something for every wrestling fan to appreciate this week. 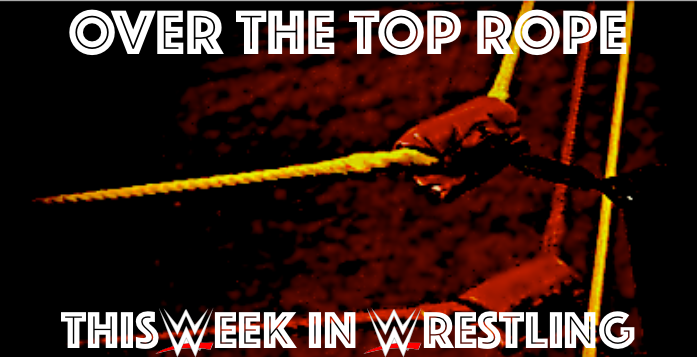 Rather than ramble, let’s get to it – I’m @SpennyLove, welcome to Over the Top Rope, and it’s this week’s edition of This Week in Wrestling! Best: I talk about them every week, but I think this is the time that I officially recognize Rusev Day. Since being handed the key to Bulgaria on September 23rd – the first official Rusev Day! – the team of Rusev and Aidan English have been the highlight of Smackdown Live. For years, we’ve talked about the Bulgarian Brute’s potential as a babyface; hopefully, a run as wildly successful as this one sparks WWE to continue giving Rusev Day the spotlight. I don’t use the word often, but the two are heartwarming – just try and frown when the two appear on your screen. Rusev is so cool, he can perform a submission move on two men at once; does that really not say enough? While they won’t challenge for the titles at the Royal Rumble, I’ll predict now that they’ll be holding the titles by WrestleMania. Book it! Seriously, guys – A STACCOLADE. Worst: American Architect. It’s unfortunate that Dean Ambrose will be injured for the foreseeable future; it’s even worse that Jason Jordan is holding a title. While, admittedly, there’s a lot of potential in this story between Seth Rollins and Kurt Angle’s son, there’s frankly nothing I hate more than Jason Jordan. I would rather have a permanent hangnail than watch this man on my screen, and this comes from a huge fan of the former member of American Alpha. He seemed like the perfect candidate for a heel turn prior to pairing with Rollins, and especially considering word on the street is that Finn Balor was also looked to replace Jordan…well, one can’t help but feel gypped. Best: U.S Championship Tournament. The tournament has had two decent matches on the first round so far. It isn’t overly big, so it won’t last for weels on end like other previous tournaments. Last but definetly not least, there is great talent on it. We could possibly see some fresh faces holding the title such as Jinder Mahal or Bobby Roode. Worst: Rollins & Jordan teaming up. This is like an espresso shot followed by a handful of sleeping pills. Get ready for some odd tag team matches ladies and gentlemen. Let’s just hope it doesn’t last long. Best: Top moment for me this week comes from my favorite brand: NXT. The Fatal 4-Way from this weeks episode was fantastic: Aleister Black, Johnny Gargano, Killian Dain, and Lars Sullivan all brought their A-Game. All four members had their chance to shine, and they all did. Gargano going over here is pretty cool, as it offers his shot at redemption at the man who started his downward spiral (and had great matches with): Andrade “Cien” Almas. On top of that, it likely is giving us both Adam Cole vs Aleister Black, and Killian Dain vs Lars Sullivan. Plus, it was one hell of a fun match. Worst: I’ll agree with the majority: Seth Rollins, one of the best parts of Monday Nights, loses his tag team partner. What could be done? It’s not like he was one of the best singles performers before the Shield reunion? Stick him with Jason Jordan. On top of that: GIVE THEM THE TITLES. Seriously? The Bar is great in ring. Seth Rollins is great. This feels like a short stopgap between American Architect (Thanks Spencer!) holding the titles, and the Revival taking them. The faster it gets Jordan off my TV, the better. Worst: Smackdown’s Tag Team division. Okay, hear me out. I think the division is great and it’s consistent that the matches involving Smackdown’s tag teams are usually the best match that night. I just do not like the decision of having Gable/Benjamin becoming the #1 contenders, AGAIN. I’m a fan of their work, but look at how over Rusev Day is. I hope that Rusev Day might get a big moment at WrestleMania because the pop would be insane. Also, #pushbreezango. Best: Triple Threat Tag Team match on SD! Awesome match aside, it really demonstrated the strength of the Smackdown Tag division – especially compared to RAW’s over the past few months. That, coupled with a Benjamin and Gable win did a lot for me. Hard not to enjoy. Worst: Hideo Itami’s week. Never thought I would be ambivalent to the guy, but here I am. Looks as if he’s out of steam. I don’t see him sticking around long. And that’s our list! Agree? Disagree? Let us know at @WCSportsCA or in the comments section below! Happy New Year!